We are an immigration consulting office headquartered in Culver City, California. 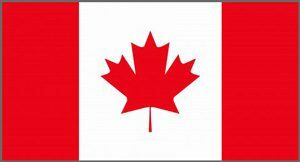 We practice Canadian Immigration, as Kelly Giles is a registered Canadian immigration consultant, of which there is currently only a small number currently practicing in the U.S.
Our practice is focused primarily on those seeking to enter Canada who have issues of inadmissibility due to criminal convictions such as DUI’s, etc. Registered Canadian Immigration Consultant Kelly Giles, the firm’s founder, grew up in Victoria, Canada, graduated from Pepperdine University School of Law in 1989. He began specializing in Canadian Immigration Law over a decade ago. He passed all of the regulatory requirements to become a CSIC (Canadian Society of Immigration Consultants) member in 2006 and has been a member in good standing of the ICCRC (Immigration Consultants of Canada Regulatory Council) since they took over from CSIC in 2011. Immigration Consultant Kelly Giles is a registered Canadian immigration consultant. He is a member in good standing of the Immigration Consultants of Canada Regulatory Council (ICCRC).